Home / Deals / Star Wars: Battlefront Video Game Only $9.99! I am loving this HOT deal for you today on these great Star Wars: Battlefront Video Game on Amazon! Right now you can grab this great video game for only $9.99! 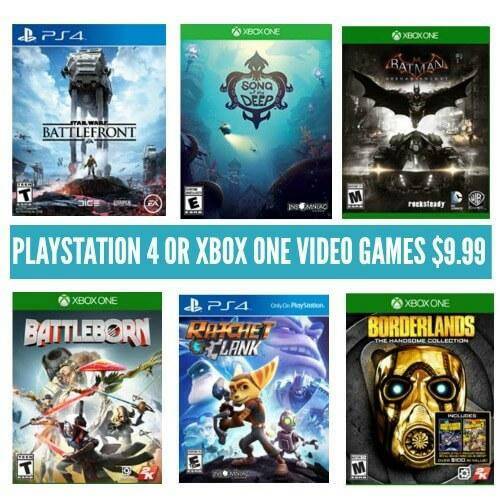 Also be sure to check out our Video Game Deals page for more great deals. This Star Wars: Battlefront Video Game is regularly priced at $19.99, but right now you can get it for Xbox One or for PlayStation 4 for just $9.99 + FREE shipping with Amazon Prime. Don’t miss out on this HOT deal going on today! Check out all the HOT Video Game Deals you can get today from GameStop!